The Greedy Fairy has just been released! The Greedy Fairy is part of an elite family of billionaire fairies. Her family owns some of the biggest corporations in Marada and ever since she was born, she has been given anything and everything that she wants! 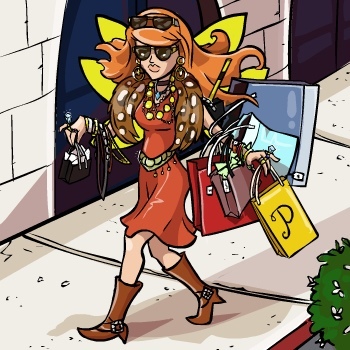 She is spoilt and spends all of her free time - which is a lot considering she has never had to work - shopping in Lowlyhood. 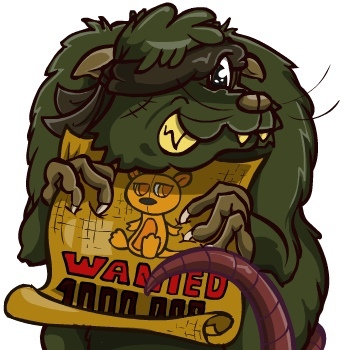 Every day, the Greedy Fairy selects an item on Marapets at random and rewards the one player who has collected the most of this item and is showing off their greed to the rest of Marada in their Gallery! enchantinglyshy collected 17 Chocolate Swirl Cone! Can you win this Greedy Fairy Avatar? The Lottery has been drawn for this week. fabfizz16 is the winner of the 246,400MP Jackpot with the winning numbers of 7, 6, 12, 3, 5 and 16! Congratulations! Last Week's Raffle has now ended. momasgirl is the winner of the Red DNA and 100,000MP prize with the winning raffle ticket number 13389! Congratulations! Make sure you buy your tickets for today's raffle - only 10MP per ticket! We have just released Items Wanted in Vortex Park. The Item Wanted is where buyers of rare items - that is items with a rarity of 20 or higher - can list their offers, for sellers to find you. If there is an item you are desperate to buy, let everyone know about it by listing your offer. If you have an item you are considering selling, search for it here and connect yourself with potential buyers! Can you find the Wanted Avatar??? We are really excited to announce that High Score Lists have been released! There are gold, silver and bronze Trophies for you to win. This has been a big, big job for us to release so please be patient as we work on it. Anyone currently on the list now expecting a Trophy, please be aware that they will not be given out until next week and between now and then, the order of the High Scores could change! This has been added to the Slater Park map. We have just added a Photo for every avaliable pet colour there is! That means, 1,143 NEW PHOTO ITEMS have just been released!! 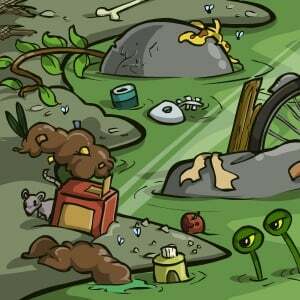 Can you find the Poop and Sewage avatars?? The Obese Fairy has finally been released! The Obese Fairy loves her food. All she does is eat. In fact, she is so heavy that her fairy wings haven't worked for many, many years. Although she disputes it, her love of food made her obese. She blames it on a slow metabolism, the drinking water in Candyland (which is actually chocolate) and having really big bones. Either way, she rewards you for feeding your pets Gourmet Foods, which is any food item that is rarity 10 or over. These are listed on your pet profile. If you feed your pet the amount of Gourmet Foods listed below, simply view your pet's food list and the Obese Fairy will reward you. 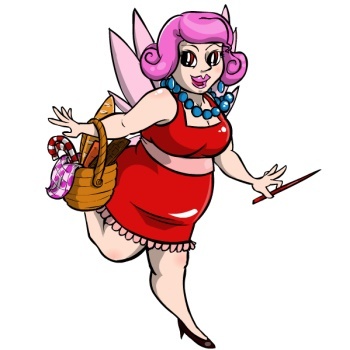 The Obese Fairy has been added to the Candyland map. A new Editorial has been released! Remember to send us your questions, ideas, suggestions, etc if you want to be featured in the next Editorial. The Knutt House in Vortex Park is where mentally disturbed, certified insane, nutty Knutts are locked away for their own safety. 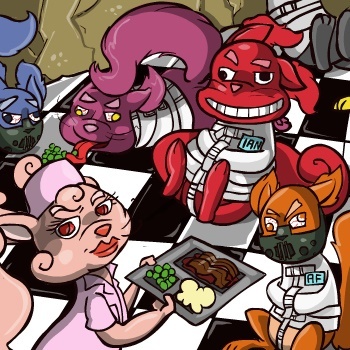 Some of these Knutts have been caught eating other innocent Knutts, other Knutts simply joined the Adult Forums and had to be strapped into their straight jackets and fed through a tube! One red Knutt simply went crazy when he took the programming job at Marapets, and all he ever says now is "Server Error... Server Error... Server Error...", while he rocks back and forth. These nutty Knutts are dangerous and never get any visitors. They love Nuts and if you feed them the nut item they want, they may reward you with MP or a Mental Costume. This costume can be used on Knutts, Roflings and Figaros! Can you find these 2 new Hidden Avatars?? 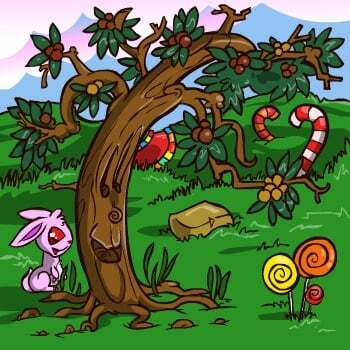 The Nutty Tree has just been discovered in Candyland! Nuts have always been important in the manufacture of chocolate and candy. The Nutty Tree has more than enough nuts to fill the needs of the chocolate and candy makers in Candyland. If you vist the Nutty Tree and some nuts fall off you can keep them! Who can guess what these Nuts will be needed for?? The Online List has been disabled for maintenance. It's back!!!! The Promote Marapets feature has returned. The simple way to get prizes and also help Marapets to grow! Simply add your Promote Marapets code to as many websites, forums, site profiles, etc as possible and every week that you have the code on a site, you will be entered into a Prize Draw, where you will get prizes! The more sites your link is on, the more chances to win and the more prizes you can win! If you continue to Promote Marapets, this cool new Award will be added to your profile! 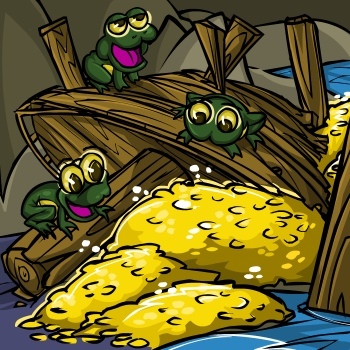 The Random Events are back!! You can now receive electricity bills, find MP, lose MP, find items, lose items, gain pet stats, get pet illnesses, find Account Upgrade credit and/or have something break in your Marapet's home. Good luck!! This means the Avatars for these events have also been fixed! The Friday 13th event has finished and the items will retire. We have fixed *every* Hidden Avatar on the site or retired ones that needed retiring. There is only one known broken avatar, which is Phanty Rescue, because the game cannot send score. 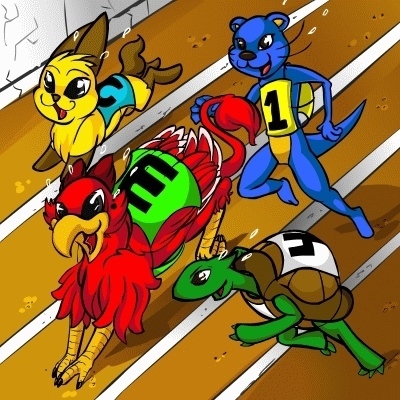 This will be fixed soon when the Flash Games section of the site is fixed and updated. Thanks for your patience and visit www.marasight.com for an up-to-date avatar solutions list. 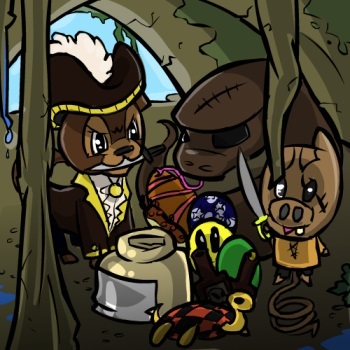 There are also new Hidden Avatars for you to find!! The Referral System is back now and working how it should be. Each referral is no longer automatic, but will be investigated by staff who will approve any genuine players that you refer. This can take up to 30 days to process, but is usually much, much faster! You can now start referring new members to Marapets and earning the rewards! The Editorial questions submitted has been reset because they were so old and out of date! If you have any questions, suggestions or ideas, send them in and we'll answer them soon! 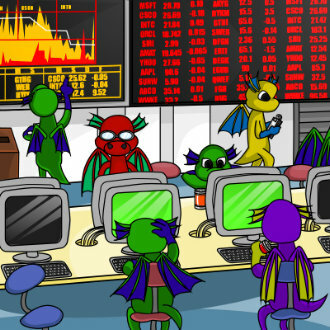 The Stock Market has been re-released in Puchalla Village. It has been completely reprogrammed and all previous glitches and problems have been fixed. We also changed the way it works. Shares can go up and down randomly throughout the day or week. You can only buy upto 2,500 shares at any time and from a company with a share price of atleast 100mp. You can sell your shares whenever, but if you do not sell them within one month, they will automatically sell themselves no matter what their value is. The Lottery has been drawn for this week. Aileen1990 is the winner of the 203,400MP Jackpot with the winning numbers of 13, 23, 25, 1, 2 and 21! Congratulations! Last Week's Raffle has now ended. YelleyGirl is the winner of the Red DNA and 100,000MP prize with the winning raffle ticket number 2881! Congratulations! Make sure you buy your tickets for today's raffle - only 10MP per ticket! The Sewer Pipes has just been released in the City Sewers. Strange things are found in the City Sewers. The City of Marada health authorities has made it illegal for pets to ride down the Sewer Pipes and swim in the sewage. They believe its unhealthy, dangerous and sometimes deadly. 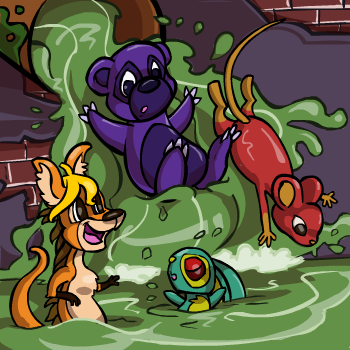 However, if you complete the Sewer Pipes Treasure Map you can find a secret way into the Sewer Pipes, where one of your pets can ride through the pipes once every 10 hours, earning either Gym Stats, Elite Gym Stats or MP. The Biala Mountain Ice Fairy doesn't like the cold weather. She used to have a beach apartment on Minipet Island, but Santa needed her in Biala to help sort items for him in time for Christmas. The problem is, the weather is so cold in Biala that she was almost completely frozen. She is still alive but can barely move, and her eyes are frozen open. Every day, there is a new item on the site that she needs to sort for Santa. The problem is that because her eyes are frozen open, her vision is blurred and she cannot see what the item is! She needs your help. You have one guess at what item the Mystery Picture below is, and if you guess correctly, you will be entered into the daily competition. 15 Winners are selected at random and will win a prize! Today is Friday the 13th!! Unlucky for some people, it is actually a very lucky day on Marapets! Be sure to enter all dailies today, the odds of winning are higher!! There are also 10 new items that are being added to the Pot of Gold until Sunday, when they will retire! Happy Friday the 13th! We hope it brings you nothing but good luck!!!!!!!! The FREE Marapets Image Uploads Service has been discontinued. Marapets simply outgrew the service, it became too expensive and unsustainable for us to provide a reliable and free image upload service to the number of players we have. We will be making changes to the site soon, allowing you to use images from other sites. We are sorry for the inconvenience caused, but it will give us more revenue and time to spend elsewhere on the site!